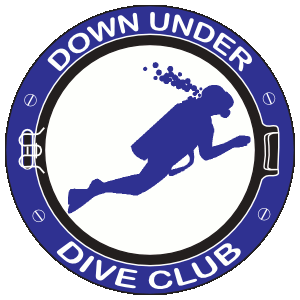 The Down Under Dive Club (DUDC) is located in Melbourne on the sunny east central coast of Florida. Formed in 1984 by a group of enthusiastic divers, DUDC currently has about 75 members. Our mission is to promote safe, organized dive events, provide a social setting comfortable to everyone, and encourage environmental responsibility among the diving community. Our past dives covered the Atlantic ocean, from Georgia to Bonaire. We organize all types of dives: drift dives, wreck dives, shore dives, live-aboards, spring dives, and even shark dives! Our members include a diverse group of divers. There are men, women and kids, ages from 11 to 65+ with all certification levels from new Open Water divers to Instructors. Meetings are held on the 2nd Wednesday of every month at 7:00 PM. Door prizes are awarded each month and we book a fascinating assortment of guest speakers. We invite everyone interested in SCUBA diving to stop by for some stimulating conversation, meet our group, and have some fun!